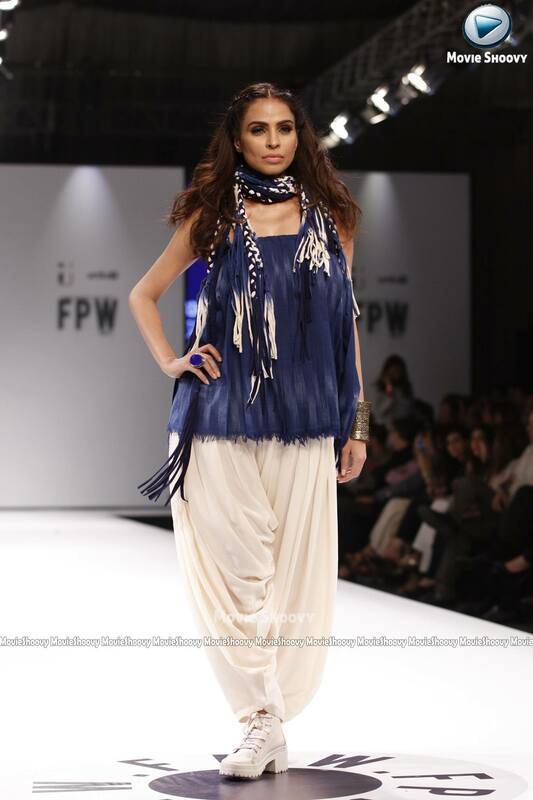 As soon as the time for fashion week arrives in Pakistan, we see the masses being divided into two groups. Those who cannot wait to find out what the new trends are. 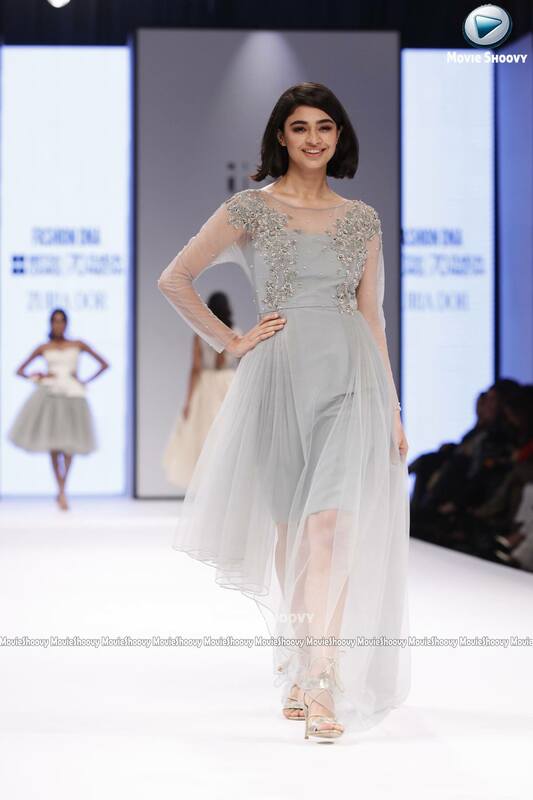 And then those who roll their eyes and wonder why do designers bother showcasing clothes most wouldn’t dare to buy. But worry not. 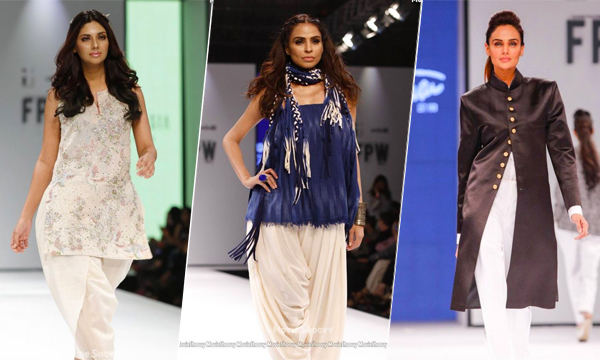 Whether you fall into the first category or the second, we combed through all the collections at FPW2017 and found some looks anyone can pull off. You won’t have to worry about aunties asking where the rest of your dress is or uncles gaping at your bare midriff. Sure there are people who would argue that the collections shown at fashion weeks aren’t for the general public. Then again we general public outnumber the select few who actually do invest and buy some outfits from these collections. We too would like some options that we can add to our sad boring wardrobes. So without waiting any longer, here are some looks even we would like to try out, if we can afford them that is. No one can deny the power and elegance of Shalwar Kameez. White is a color that looks good on everyone. Plus it gives us lots of room to mix and match with other colors. 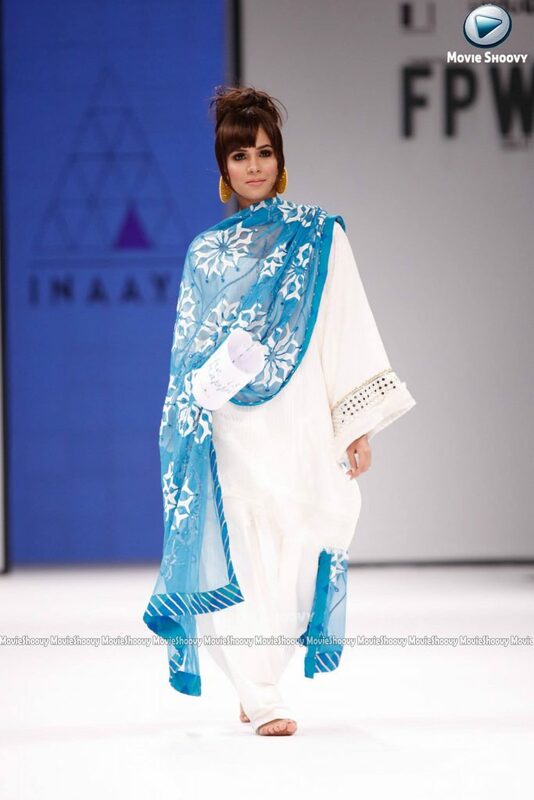 That is why this one by Inaya particularly caught our eye. The simple shalwar kameez is very sophisticated and can be worn on various different occasions, both causal and semi-formal. 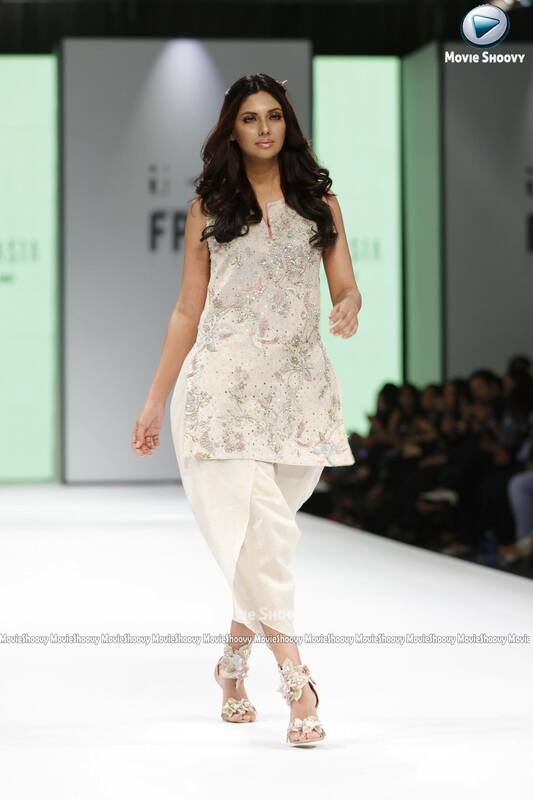 Sure they were originally for men, but if women can rock Peshawari Chappals, who’s to say they can’t wear Sherwanis. Amir Adnan agrees too. His collection showcased Mehreen Syed walking the ramp in one. If your style is a little on the edgy side, this is definitely something you should try. For the rest, it will take some convincing but we see this becoming a trend very soon. Sure we might have to get a few modifications done but this outfit by Sonya Battla will definitely look good on a number of women of different sizes and statures! Short shirts and loose shalwars are said to be more flattering than long loose kurtas and kameezes. Before you look at me like I have lost my mind, just imagine these with a pair of straight pants and see how beautiful this outfit will look at the next family event you attend. Again I implore you to imagine a pair of pants. That done, this outfit is too perfect for words! 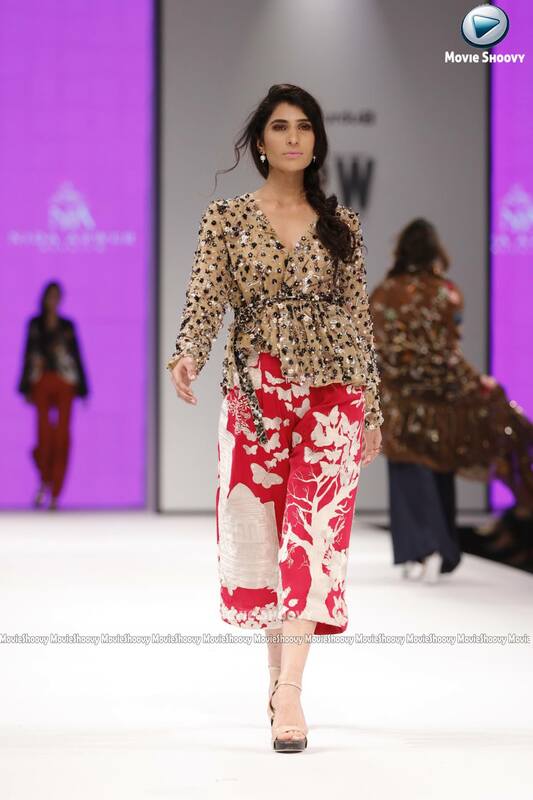 Ok so maybe not everything but most of the outfits Fnk Asia showcased at FPW2017 were noteworthy. 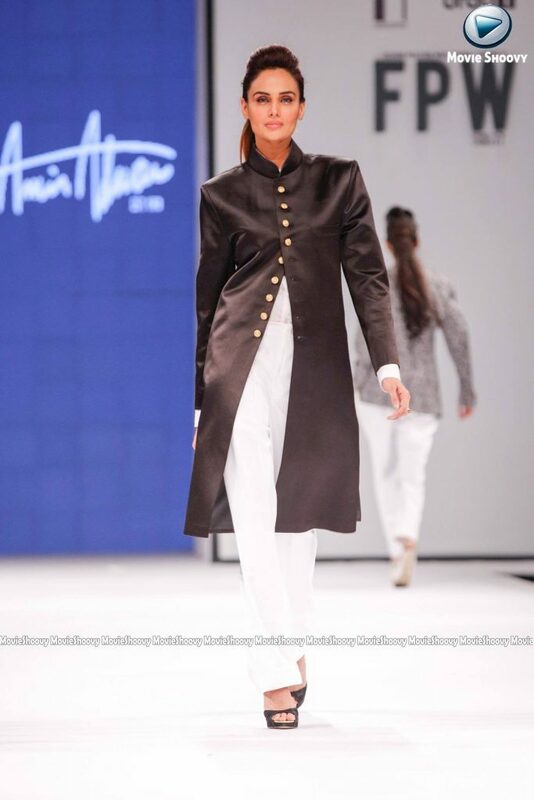 Case in point this one Sunita Marshall strutted on the ramp in. You know the days when you wish it didn’t take too long to look good? Yeah this outfit is for that time. Nida Azwer has all the secrets. 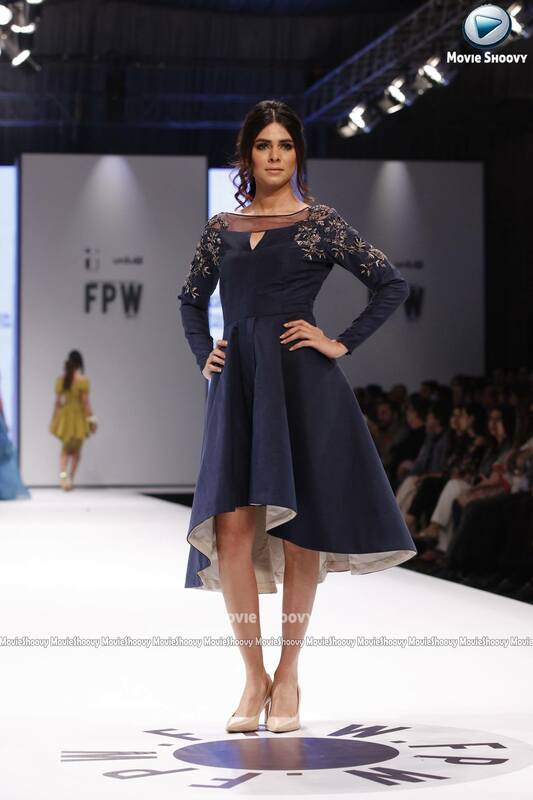 Which collection was your favorite at FPW2017? Let us know in the comments below.